It comes as a surprise to many Christians who have spent years in church - those of us non-Jewish people (Gentiles) were never considered to be under the Mosaic law. Never. None of it. Not the dietary rules, the sacrificial statutes, or the moral laws. 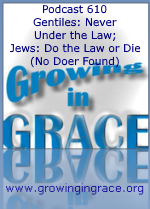 Only Israel had been placed under that law in the Old Covenant, before the sacrifice of Christ. The law brought a curse for those under it - they were required to do it… all of it. Under that covenant, only a doer of the law could be justified. The problem? Nobody had ever done it until Jesus came along and fulfilled the law on our behalf. 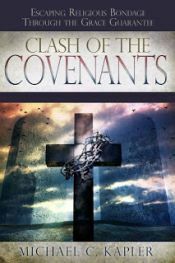 A New Covenant would be established, where righteousness would be received through faith, apart from the works of the law. Gentiles who were without the law and had no covenant would be gifted with the invitation to enter into this everlasting covenant of life. We died with Christ and have been raised to walk in newness of life.